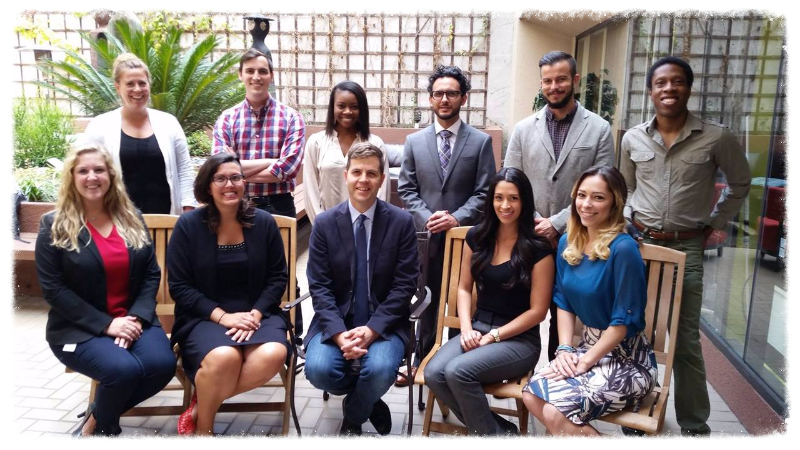 Our fall 2016 team, including attorney Shaun Spalding who has rejoined the team! Discounts on our new book! 70% off the e-book this week, and a special discount code for $3 off the print version! To celebrate the book's successful launch, we're making the e-book available for one week for $2.99 instead of $9.99. If you want a print version, you can get $3.00 off the print book ($11.99 instead of $14.99) by using the discount code "HG5DGXBX" at this special link. 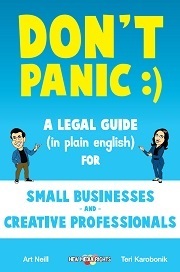 We're thrilled to share that Don't Panic has sold over 120 copies already, and hasbeen adopted by five undergraduate classes as required reading for Spring 2017! To advise cutting edge technology clients, we have to make sure to learn our client's business and technology. 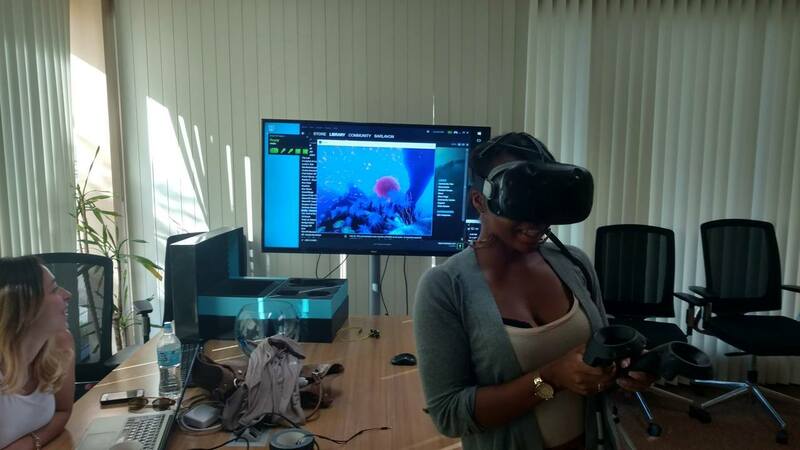 Here, clinic student Maresa Martin tries out virtual reality while other clinic students look on. New Media Rights is taking on its first clients with virtual reality projects this fall. Thanks to student Emory Roane for setting up and facilitating this demonstration! 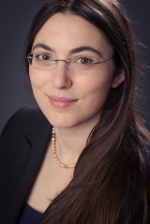 Earlier this year we wished a fond farewell to Staff Attorney Teri Karobonik! Teri was a wonderful colleague, stellar attorney and an excellent mentor to our students since June 2013. During her time at New Media Rights she not only helped us run more efficiently so we could help more people than ever before but was also a driving force behind many of our new educational resources including our book. A big thank you to Teri and best wishes in her future endeavors in the Bay Area and at her new position at Twitter! Last year on Giving Tuesday supporters like you helped us raise a record breaking $18,132.00! Giving Tuesday is absolutely critical to funding New Media Rights' work. This year's Giving Tuesday will be November 29, and we're expecting a dollar for dollar match for every dollar you give that day. Please put it on your calendar and make sure to participate. You can also pledge your support early by writing to support@newmediarights.org. Remember that both individuals and organizations can become supporters, so put that date on your calendar and go learn about all the great reasons to become a New Media Rights Supporter! Discounts on our new book! 70% off the e-book this week, and a special discount code for $5 off the print version! To celebrate the book's successful launch, we're making the e-book available for one week for $2.99 instead of $9.99. If you want a print version, you can get $5-3.00 off the print book ($11.99 instead of $14.99) by using the discount code "HG5DGXBX" at this special link.